Welcome to the Practice of Board Certified Plastic Surgeon R. Morgan Davoudi, M.D., F.A.C.S. and the Atlantic Center for Plastic and Cosmetic Surgery located in Atlanta Georgia and Duluth Georgia. Our focus is on helping patients discover and achieve their ideal cosmetic surgery goals, while providing you with safe and comprehensive surgical care from a board certified, specialty-trained plastic surgeon in the most comfortable environment possible. Become a VIP patient. Subscribe to our E-Mail List to receive our latest specials and discounted offers! "I feel more confident now and happy to show my new figure. I was always the last in the picture because of my breast size. I can show myself and be the first in line." "This is a surgeon with compassion and a high level of confidence in what he does. He and his staff simply put me at ease, and truly let me know they were there for me. I highly recommend this fine and confident surgeon." "Dr. Davoudi is wonderful. I had been to three plastic surgeons and did not feel comfortable with any of them. From the moment I met Doctor Davoudi I knew he would be the one to perform my procedure." "After my abdominoplasty was done, I couldn’t believe (neither could my husband) how great I looked – and how FLAT my abs where. I cried. I literally cried." "My whole experience was terrific and I ask myself, “Why did I wait so long?”"
R. Morgan Davoudi, M.D., F.A.C.S. R. Morgan Davoudi, M.D., F.A.C.S. is an Active Member of the American Board of Plastic Surgery, an assistant professor of plastic surgery, double board certified in General and Plastic Surgery by the American Board of Surgery and a Fellow of the American College of Surgeons. 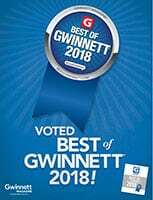 Serving areas of Duluth and Buckhead Georgia. Dr. R. Morgan Davoudi, has dedicated his life to the art of cosmetic surgery and specializes in cosmetic procedures for the breast, body and face, utilizing the latest techniques. Procedures and services include breast augmentation and breast lift, breast reduction and more. Body contouring services includes liposuction and tummy tucks. 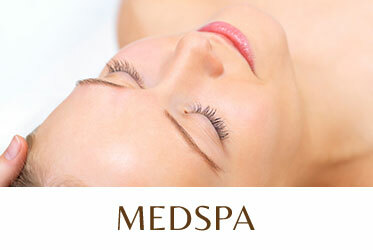 Facial procedures include facelifts and rhinoplasty and more. It is the plastic surgeons desire to help each patient reach her or his potential that makes visiting this plastic surgeon near me a must for anyone considering a change. This board certified plastic surgeon is an excellent choice with his communicative, friendly nature and professionalism. At our medical clinic, we understand that deciding on a plastic surgeon near me is an extremely important decision for any prospective patient. It is critical that both the plastic surgeon and the supporting staff are talented and personable. This is what you will find with Dr. R. Morgan Davoudi and the staff. Call (770) 418-1234 for the office in Duluth Georgia and (770) 418-1234 for the office in Atlanta Georgia. 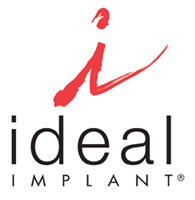 We are one of a few doctors in the country that offer the Ideal Implant. Considering a cosmetic procedure, but live far away or don't have the time to come in? We are excited to announce Dr. R. Morgan Davoudi is Now Offering Internet Consultations!